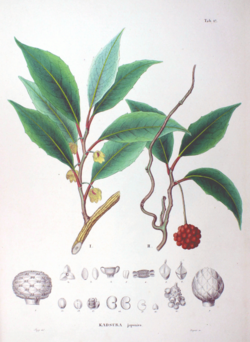 チョウセンゴミシ Schisandra chinensis (Turcz.) Baill. マツブサ Schisandra repanda (Siebold et Zucc.) Radlk. ^ Christenhusz, M. J. M. & Byng, J. W. (2016). “The number of known plants species in the world and its annual increase”. Phytotaxa (Magnolia Press) 261 (3): 201–217. doi:10.11646/phytotaxa.261.3.1. http://biotaxa.org/Phytotaxa/article/download/phytotaxa.261.3.1/20598.